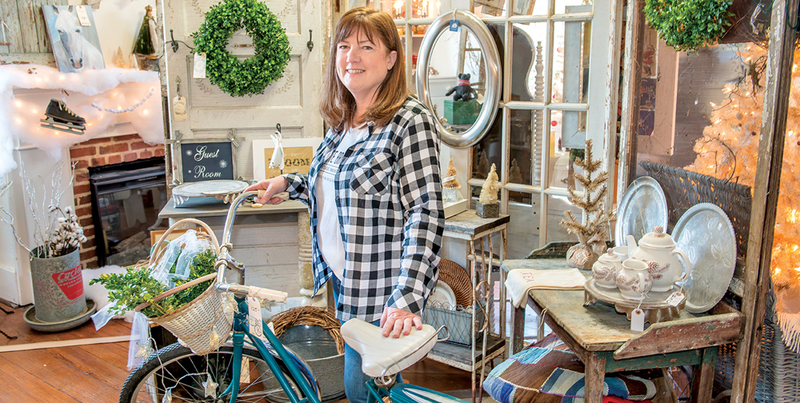 When Peg Breiholz named her home projects blog “The White Brick House” in 2013, she had no idea that it would become a brick and mortar vintage marketplace just two years later. In addition to the vendors, Breiholz cites her husband, Scott, as a major source of support and inspiration. “In addition to his real job at Areva, he does all kinds of projects for me like fixing furniture, moving the big pieces and taking care of the lawn and anything else I need,” Breiholz says.